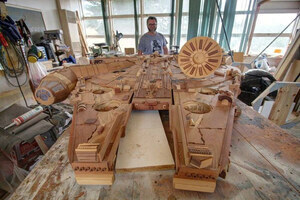 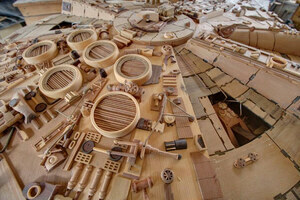 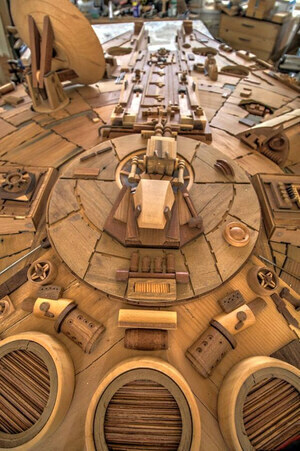 A meticulously detailed, 1.8m timber Millennium Falcon built by woodworker Martin Creaney from 3000 hand cut pieces of 30 different types of wood. 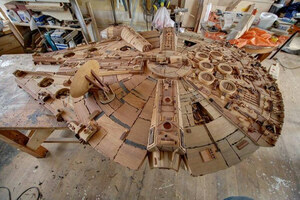 Apparently, it did the Kessel Run in less than a month and a half. 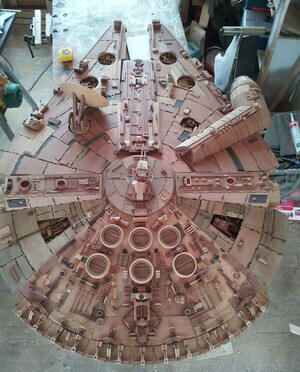 Posted in Art/Craft and tagged millennium falcon, model at 10:26 am on February 2, 2016 by Broadsheet.